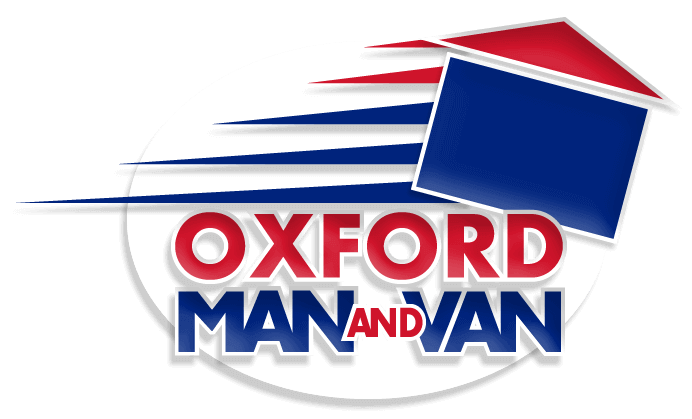 Some frequently asked questions about our man and van service. Q, One item of furniture moving across town, is that job too small for you? A, No, no job is too small for us. Q, Do you help load and unload the van? A, Yes, the driver(s) will help you load and unload the van. Q, Will you take my goods to any floor, and any room? A, Yes, we put the goods wherever you want. Q, Will you unplumb my dishwasher and washing machine? A, We will always try to assist in whichever way we can - however we generally cannot tamper with plumbing. Q, What about removing doors or windows to fit my sofa through? A, We always try to help, but cannot promise that this is possible or advised. Q, Can I travel with the driver, and does it cost more? A, Up to two passengers may travel with the driver, and this does not affect the price in any way. Q, Do you only cover the Oxford area? A, No, we will also do nationwide runs which start or end in Oxford. Q, Is it more expensive to book your services at the weekend? A, No, there are no additional costs. Saturday and Sunday are pre-booked service. Q, I am a business client, will I receive an invoice? A, Yes, we can issue printed ivoices for business users. Q, Will I be charged VAT? A, No, we do not charge VAT on any of our consignments. Q, I'm interested in booking your services, how do I book? A, You can either email us or call with your requirements and book our services. A, No, you don't have to pay any deposit. Q, What methods of payment do you accept? A, You can either pay on line via paypal, by bank transfer or in cash. Q, Is it possible for your driver to get lost during transit? A, Highly unlikely because all of our vehicles are equipped with the latest GPS navigational systems. A, Our drivers will always try to park legally and close to your property, however ensuring adequate parking is the responsibility of the customer. As such we recommend that you either obtain permission from your council or reserve a space outside your property- this will help keep loading time to a minimum and avoid any parking fines. If a penalty charge is incurred we request immediate payment to the driver by the customer. Q, Am I insured for breakages? A, Yes, our vans are all fully comprehensively insured and we also have £10,000 Goods In Transit insurance plus £1,000,000 Public Liability insurance as standard. Q, Do you have breakdown cover? A, Yes, we have full AA cover. 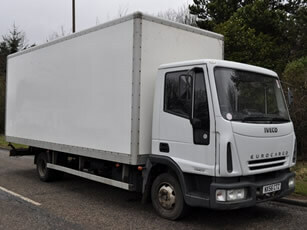 Of course, all our vans are regularly serviced and carry spare wheels. This was only a small move within Oxford. I did all the packing myself so i cannot comment on their ability to pack. I can however comment on their ability to carry things and they were extremely good at it. Two not very big but strong and smart lads helped on the day. They were polite and clean and experienced and helpfull and i could go on and on. Also they recycled a desk i no longer wanted at a very reasonable price. Nothing broken or scratched. Would be happy to recommend and use again.